The morning of the off-road adventure could not come soon enough. I have read a number of trip reports and was looking forward to meeting the guys behind the Back Road Drivers (BackroadDrivers at Yahoo). The alarm finally went off and I bounced up like a kid on the first day of school with all the anticipation of making new friends, learning something cool and seeing what everyone has been talking about. After checking out and gassing up I had a mandatory stop that dated back to July 12, 1990. That was when Norther Exposure premiered on TV. 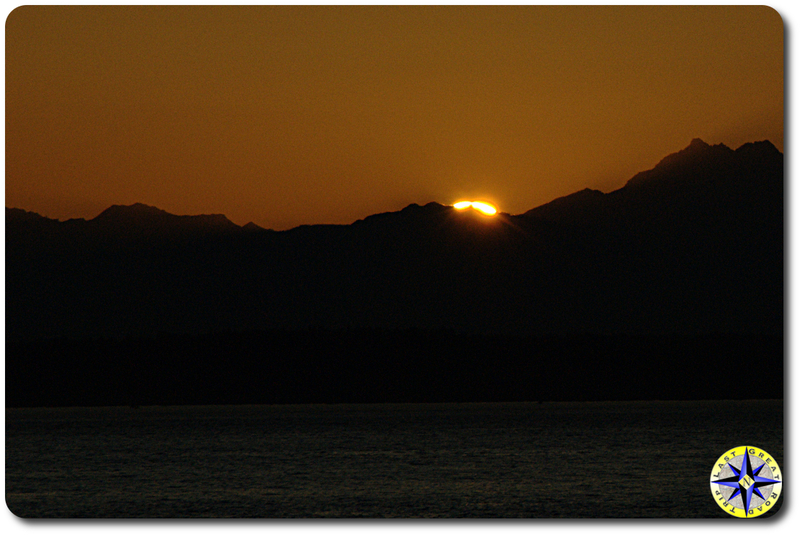 The show was set in the tiny outpost, on the Alaskan Riviera, Cicely, Alaska, which was shot in our own Roslyn, WA. 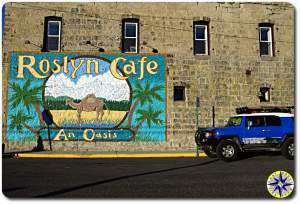 The real life town is a little get away where you can find memorable moments from the series including “The Brick” and “The Roslyn’s Cafe” made famous by the quirky TV town folks. The town also holds a spot in my heart since it was one of the first stops in Washington when I drove cross country on my Michigan exodus a couple of decade ago. 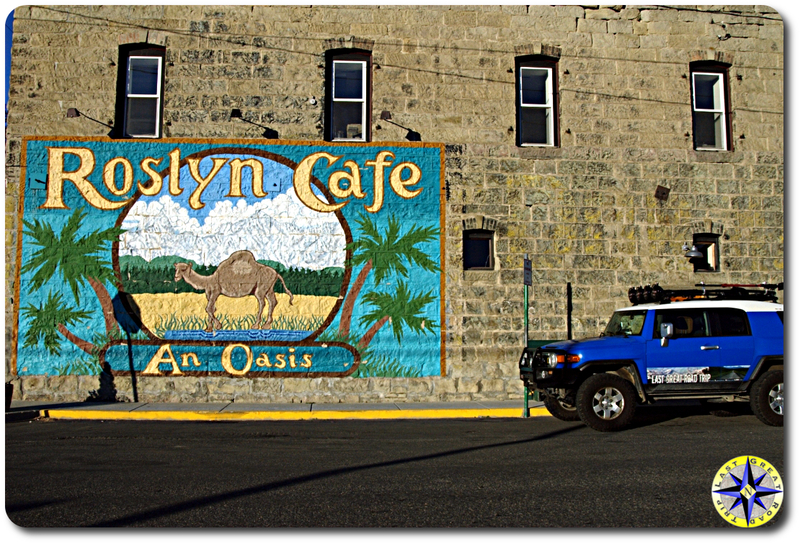 It has remained an oasis in my soul when thinking of places on the road that have brought a smile to my heart. After a quick photo opp it was on to Ronald, a town that makes Roslyn look like a thriving metropolis. The Back Road Drivers were meeting up at the Old #3 in Ronald for coffee and check in. It was here I met Jerry for the first time. 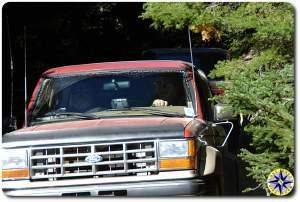 Jerry has been running the Back Road Drivers for a decade now. Walking into the diner, bar, post office I received a greeting from Jerry like I was an old friend and was introduced to the others around the table. The group included Brian & Cindy from Gig Harbor, Rob from Yakima, Terry, Missy, Mason and Piper (pup) as well as Randy from Meacham who road shot gun with Jerry. This was a great bunch of folks from all over the Northwest. 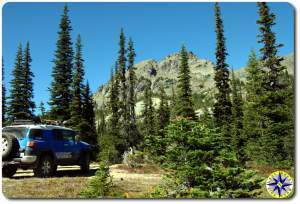 None of us had ever run this trail before so when we got to the trail head it was time to line up the rigs in order to ensure we had winches and radios front, back and in the middle. That gave me an opportunity that I welcomed with a little nervousness. I was asked to lead the group up the 4×4 trail to Gallaher Head Lake. I usually sit in the back of the pack which allows me to watch the lines others take over obstacles and than learn from what they have done. That security of watching others comes at a price. That price is you spend the day eating everyone’s dust. Leading the run gives you an amazing new dust free perspective which is way worth it. Leading a group of rigs up a trail is a big responsibility and I appreciate the trust that Jerry and the other placed in me on this day. The Fortune Creek Trail, 4W301 (Cle Elum 4×4 Trails map), was perfect to start on. It was an easy, well marked trail that allowed us all to easily navigate the obstacles and work our way up the hills of loose material. Winding up the trail only took an hour or so as we made good time to Gallaher Head Lake. The lake is a beautiful little oasis in the forest. 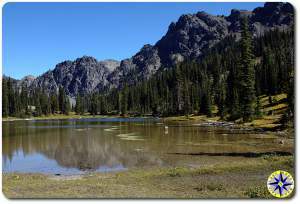 The trail opens up into a valley nestled between several mountains with its little lake sparkling at 5627 feet above sea level. 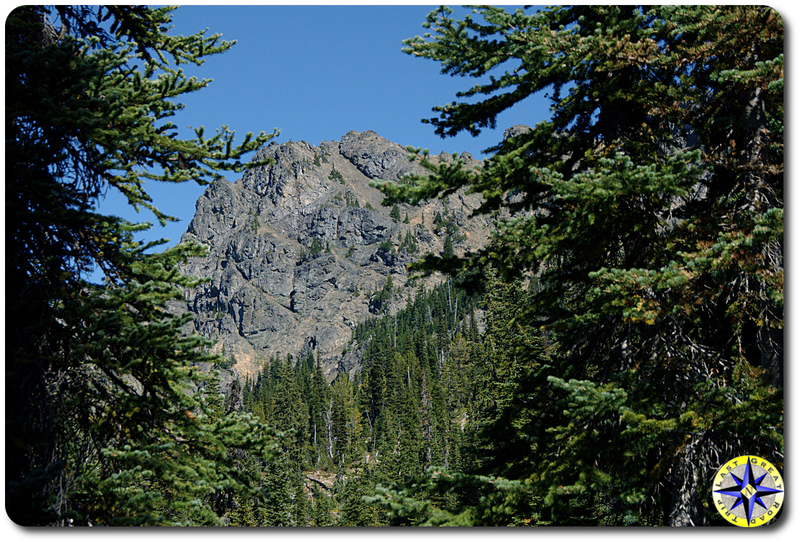 This time of year the area was painted in browns and greens which gave a wonderful contrast to the brilliant blue sky. Another advantage of a late season visit is the absence of bugs. Arriving at the lake we all settled in for lunch. 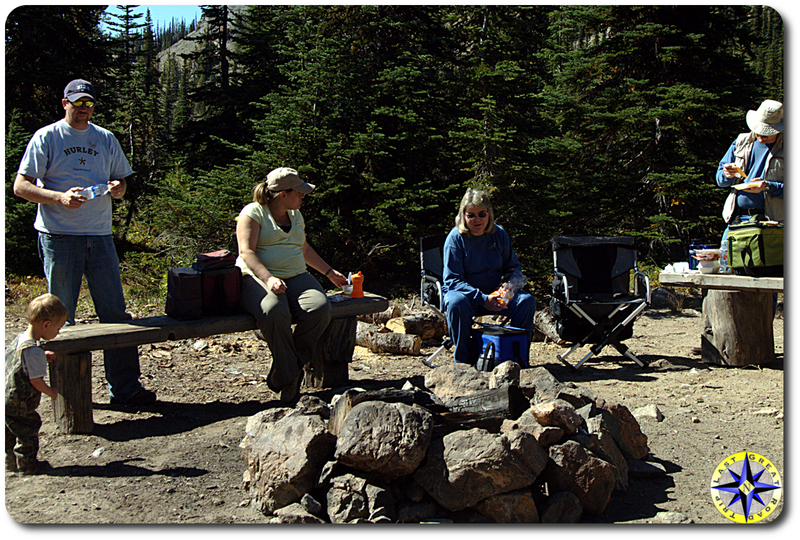 The lake is equipped with a nice little camp area which offered some bench seats to eat at and soak up the sun. While a few folks pulled out all the fixings for a gourmet picnic lunch, I dug out the foot long Subway and chips. Chatting over lunch, everyone shared stories of their children, grand kids, jobs, and dogs. I enjoyed watching Mason run around and dig in the dirt as only a toddler can and remembering when my kids where that age. Than I remember what else came with that stage in their life and was glad they are now past the diaper changing days. The lake is a popular location and as we packed up a few motorcyclist swung by to say hi on their way to another trail along with some hikers who planned on spending the night. Around 3:00 p.m. we decided to head back down to the towns below and get back to our lives which we had escaped from on this off road adventure. The decent was uneventful and before you knew it we were back at the Old #3 for a soda, saying our good byes and airing up for the drive back. 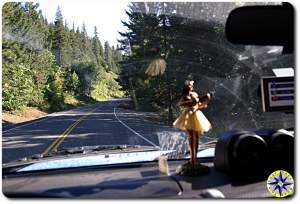 The great thing about the northwest is there are deserts, mountains and sea within a few hours of each other and the drive back took Hula Betty and me back through the Snoqualmie pass, down to the Seattle Bainbridge ferry and across the Puget Sound. There are not many better places to watch the sun set behind the Olympic Mountains than on the front of the ferry. 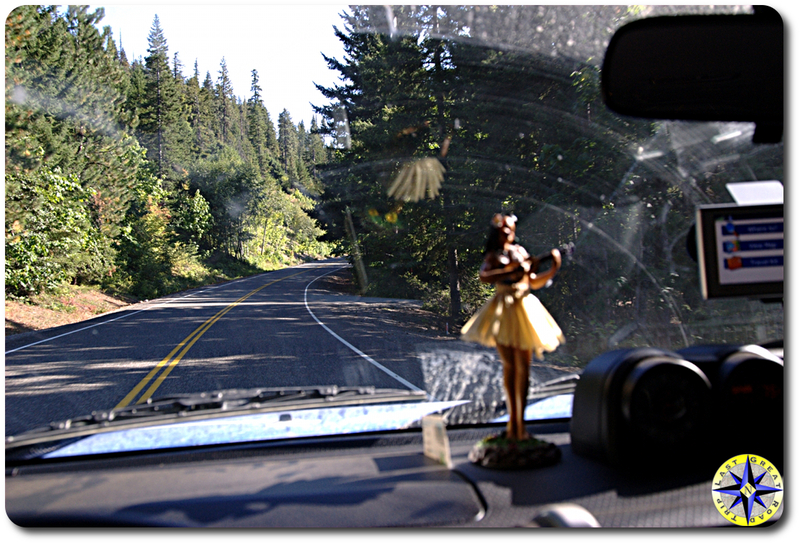 As we drove off the boat and back to the little town of Poulsbo, I thought… This was a good off road adventure filled with fun trails, great views and new friends. It is one that will stick in my memory for years to come. Maybe even one to repeat next spring when the lake’s meadow is awash with wild flowers. Can you make the drive up to the lake without a winch? you should be able to unless it’s muddy or snowy. 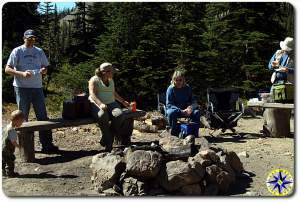 Under normal conditions, the trail is not difficult. Yes. Mild lift and good driving skills and you’ll be just fine. 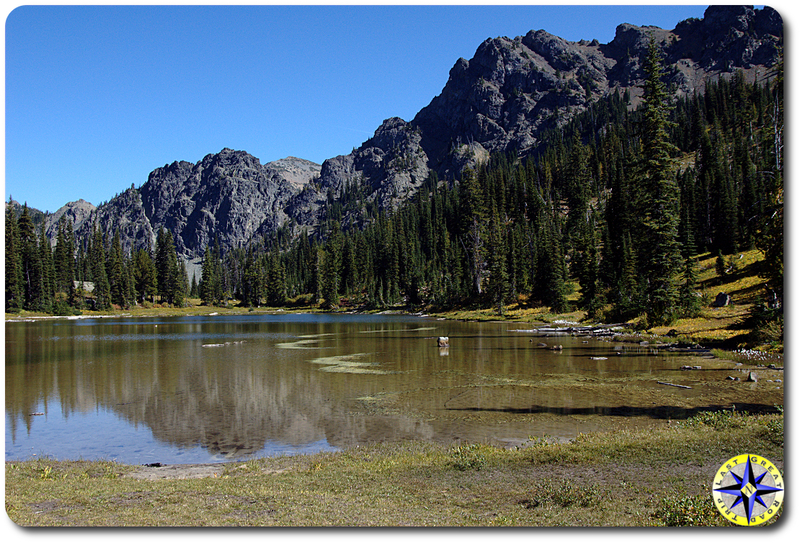 Once you made it to Gallagher Head Lake, did you take NF160 or 4W301 back? 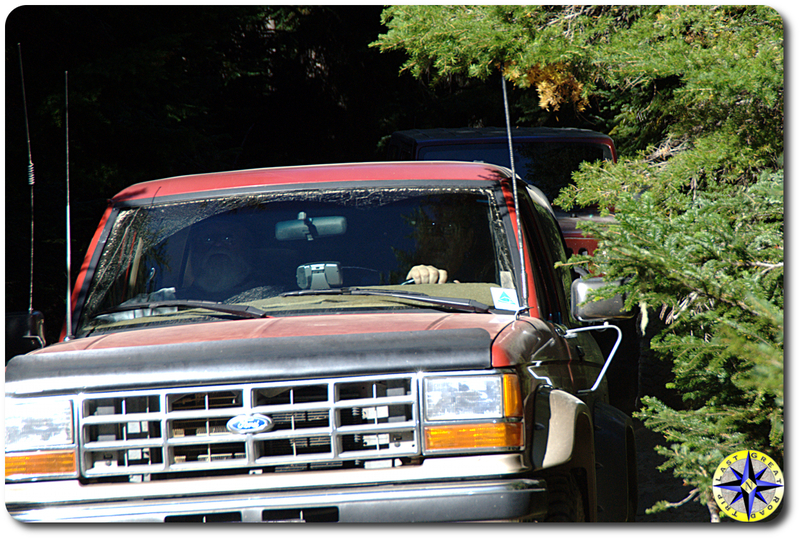 Also did you run into anyone heading the opposite way on the trail and if you did, was passing around them easy?